Moe. One thing that makes eastern anime to be different from its western counterpart. The concept of moe is really hard to grasp; it is sufficient enough to say that it is a feeling of attraction towards something really cute or pure that makes your heart goes hnghh and your blood sugar level rise. 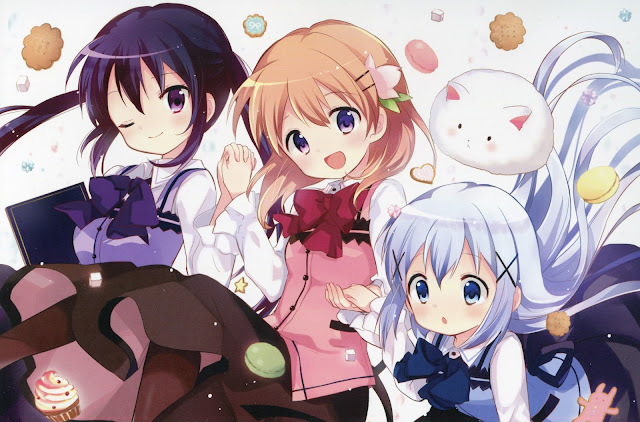 Gochuumon wa Usagi Desu ka is the anime that manages to nail the moe concept so effectively, to the point that I have to go to the hospital next day just to get an insulin injection for diabetes because of the amount of sweet sugary cuteness this anime had to offer. For a moe-blob anime, it has no specific plot and episodic. There is however some character development that we could see as each episode pass, mainly in term of their relationship with each other. For a slice of life anime that focuses on friendship as its main theme, it done it job exeptionally well. Watching the girls helping each other and enjoying every single moment of their live however small soothe the heart. 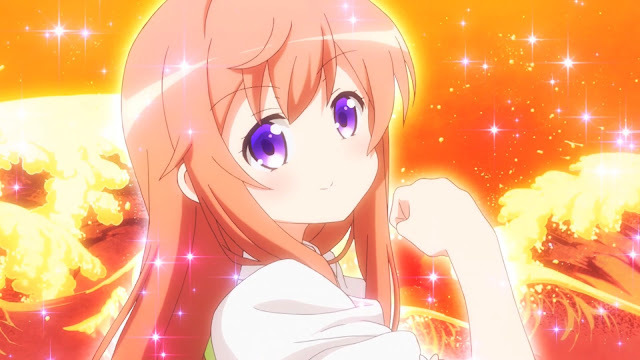 There is also recurring theme about family love, not only between Cocoa and Chino but also the new introduced character, Mocha who is Cocoa big sister. Their antique on how they strive really hard to be an older sister figure is just lovely, and Chino reaction towards them are a sight to behold. 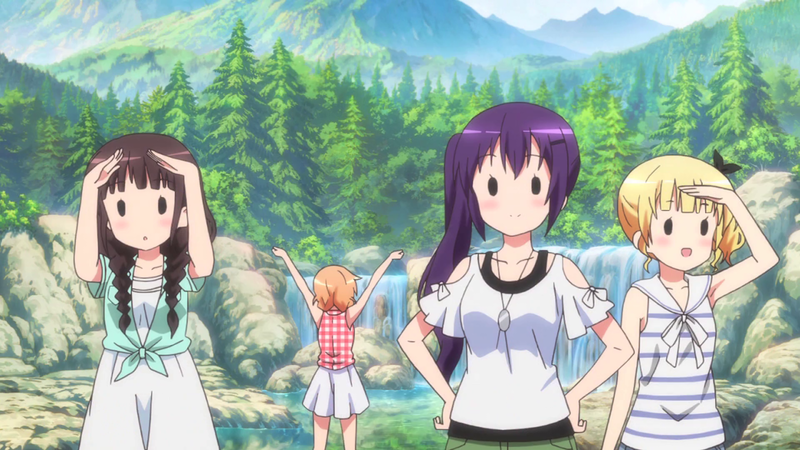 There is also bigger emphasis on Chino's friends, Megumi and Maya than in season 1 which is really delightful since the show does not downright ignore the supporting cast. The pacing in general is steady and relaxing which is fine for moe esque slice of life anime. The comedy are good and fun, not too over the top yet can put a big smile on your face afterwards. The anime overall manages to emphasise moe when it does really matter in every scene. This include the usage of quick chibi quip with the right timing or using hilarious facial expression to make this cute moe anime charming. As a result, the viewer will surely get attached to the characters, spewing the word 'moe' over and over again. The characters in the second season are pretty much the same as the one in the first season. The girls are about as cute and cuddle worthy that you might literally get asphyxiated by the amount of kawaii essence that pervades the atmosphere. The cute catchphrases all the girls repeat and their unique quirks offer a wide variety of charm that captivates you to watch more of these girls say funny and cute dialogue. 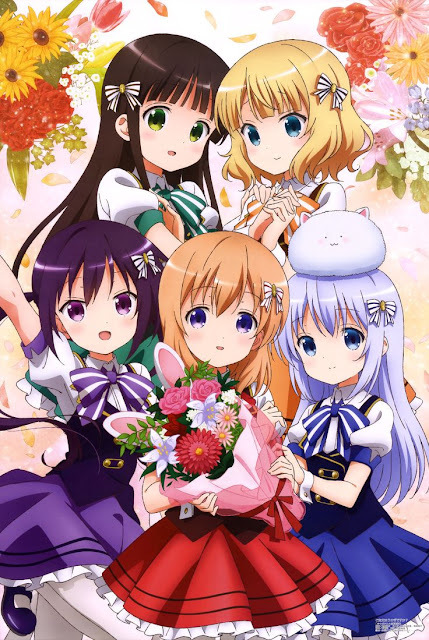 There is some new side that we could see from these characters, such as how Rize bashfully act when hugged by Cocoa older sister, drunk little sister Chino, and Cocoa dependable and mature side. The character interaction remained good and constant, but sometimes could get out of hand when all characters appear one after another in a single scene. The voice acting for each character keeps them to appear lively and playful, drawing audience to enjoy each scene. The art and animation are above average, but compensated by the usage of vivid, bright colour and happy tone. It's been a while since I've watched the first season, but I could say they manage to keep up the quality to be good and constant, as it should be. Every little design are made to be cute and classical, a peculiar combination but what made it really engaging as a whole. The backgrounds are really amazing; using gorgeous European style architecture for the buildings down to classy furniture inside. 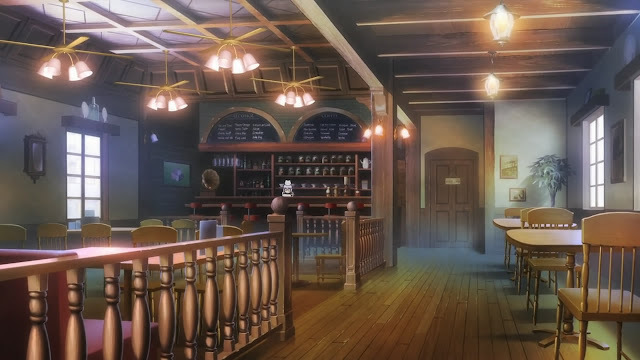 The OST are charming in their own way, with classical piece and with cheerful music to accompany each scene. The OP are also happy and cheerful just like the first season, giving the vibe of cute bunny-like theme. The main highlight however is the ED song, which is pure diabetes. 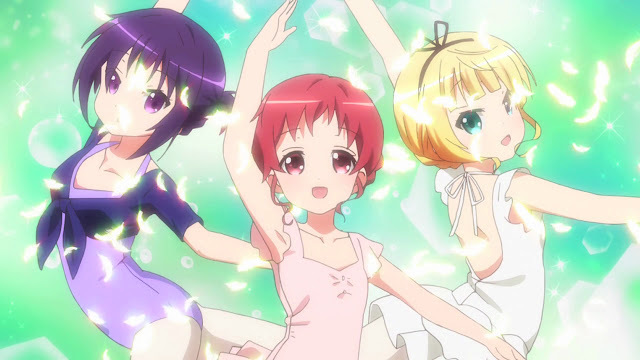 The amount of moe being put into the ED, along with delightful music puts it one of the best ED song this season. 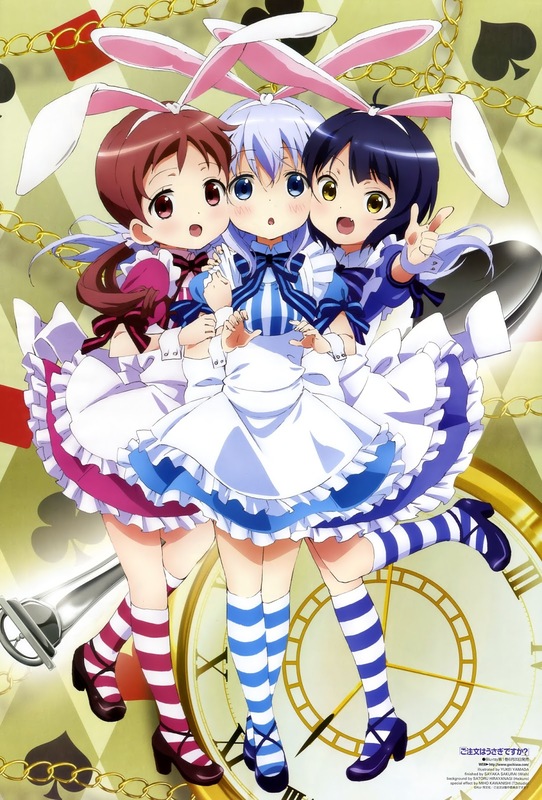 I'm not a lolicon myself but having seen the ED makes me to think otherwise; just to put into perspective on how great the ED is. 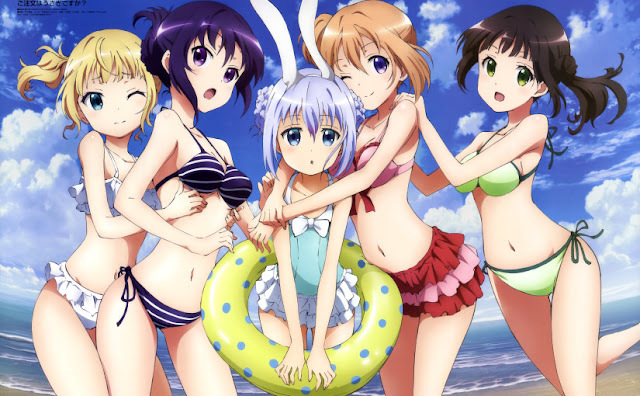 This is a perfect anime for those who enjoy watching moe-blob anime. While it is not an anime with hilarious comedy scene, or great storyline considering it is a slice of life anime, the amount of moe being put in this anime is dangerously high and can cause happiness for weeks. Sometimes, something as simple as Gochuumon wa Usagi Desu ka?? is more than enough to cheer me up after a rough day and makes me feel all warm inside, before going to bed. It is simple, but that what makes it so great and charming.